During phytoremediation of polycyclic aromatic hydrocarbons (PAHs) and heavy metals, the phytoremediation plants are often stressed by pollutants, which would reduce the efficiency of phytoremediation. The addition of organic acids from root exudates could alleviate the stress. In this study, three organic acids (citric acid, succinic acid, glutaric acid) were added to investigate the effects of organic acids on the stress response of Scirpus triqueter L. at two pyrene–lead concentrations. The activities of reactive oxygen species, malondialdehyde, plasma membrane H+-ATPase, and vacuolar H+-ATPase and PPase activity, as well as the activities of antioxidant enzymes (SOD, POD, and CAT) in Scirpus triqueter L. were determined. The addition of organic acids could effectively reduce the activities of reactive oxygen species, malondialdehyde, plasma membrane H+-ATPase, and vacuolar H+-ATPase and PPase activities. Under higher pollution, the damage of plant plasma membrane is more serious, but the addition of citric acid can alleviate this situation and even more effective than the relief under low pollution. The effect of citric acid was more significant than that of succinic acid and glutaric acid. 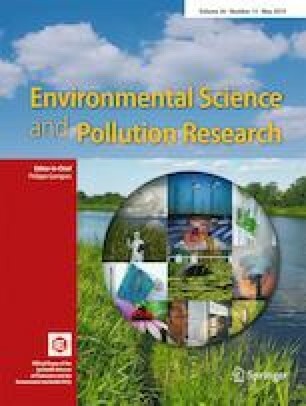 These results demonstrated that organic acids could attenuate the stress of pyrene and lead to Scirpus triqueter L.
This work was funded by the National Natural Science Foundation of China (Nos. 21677093, 41373097) and Natural Science Foundation of Shanghai (No. 18ZR1414100).